One of the oldest towns in the hills of Himachal Pradesh, Kullu finds a mention in the scriptures written by Xuan Zhang the Chinese traveler. Founded in the 1st century A.D. by Behangamani Pal whose forefathers had migrated to Mayapuri from Tripura, Kullu was known as Kulantha Pitha which meant the end of the habitable world. The valley changed hands many times over the century before to finally coming under the British rule. The history of this place revolves around the landmark of the town, the Raghunath temple. According to a legend, in the mid 17th century the King of this place fell ill and at the behest of his royal holy men asked for the sacred images of Lord Ram, after which he recovered miraculously. This made him donate the whole valley under his power to the Gods, giving it a name of the Valley of Gods. The Raghunath temple dedicated to Lord Ram with the same idols still stands testimony to the story of the faithful King. The residents or the locals of this place are rarely belonging to the actual place but come from various valleys nearby and also from Nepal and Tibet. Nonetheless they are warm and helping in nature. Apart from its natural splendour of the place the Kullu valley is most famous for its annual celebration of Dusshera festival which falls around October and people from all around come to experience the unique festivity. 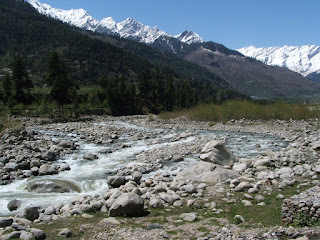 Location: The beautiful Kullu valley is situated on the gushing river Beas. The valley running north to south of this river, is approximately 225 kms from the capital town of Shimla. Aptly called as the valley of Gods, it has many ancient and beautiful temples; also the rich natural beauty the Gods have bestowed upon this valley says in itself as the favoured of the Gods, which gives it its name. Importance: Valley of the Gods, famous for Dushhera celebrations. The valley of Kullu is aptly known as the valley of Gods. There are more than 350 temples in the valley dedicated to various Hindu Gods. The temples of this place carry three distinctive forms of architecture. The influence of Buddhism arrived from Tibet is seen in some of the Pagoda style temple. The typically Hindu architecture is evident in Shikhara architecture of some temples. The local architecture, known as the Pahari architecture which can sustain the natural hazards of the region is also seen in some of the temples. This beautiful small temple build in the Pahari style is around 10 km from Kullu across the Beas River can be reached through a trek only. But after reaching the temple the reward is too good. The temple is 60 feet high and glistens vehemently in the sunlight and thus gains the name of Bijli temple, or temple f lightening; albeit the legend offers a different story altogether. It is said that long time ago Lord Shiva absorbed t he lightening that fell, which would have devastated the earth completely. The episode took place on the confluence of the Parvati and Beas Rivers and people erected a temple in honour of Lord Shiva and named it after the episode. It offers a beautiful panoramic view of the valley. Inside the shrine is the Shiva lingam adorned with flowers and garlands. The Raghunath temple is dedicated to the presiding deity of the valley, Lord Ram. It is believed that the idol is ancient and to be the one which was used by Lord Ram himself while performing the Ashwamedh Yagna. This is the temple built in Pagoda style and where the famous Dusshera celebrations take place. The temple is supposed to be built in the 17th century when the King of the place was advised to get the idols of Lord Ram from the nearby valleys. Inside one can see the idol of Lord Ram sitting on velvet cushioned silver chariot. It is the most recent temples that was built in the valley but attracts equal number of tourists and devotees. Dedicated to Goddess Durga, it is a small temple and the deity is enshrined in a cave. The climb to the temple is still steep but it offers a stupendous view of the mystic Kullu valley and the River Beas running along its length like a young maiden walking a ramp! The Bhuvaneshwari Temple of Bhekhli is built in Pahari style is also dedicated to one of the forms of Goddess Durga. The temple walls are decorated with Kangra paintings of Durga. A magnificent stone lion gives the example of the local art. The stone lion in the courtyard is a fine example of local art. This beautiful temple is situated uphill at a distance of 10 km from main Kullu town. This ancient temple, built in the 8th century is dedicated to Lord Shiva and is also known as the Bishweswar temple. It is one of the most beautiful temples of the Kullu valley which is around 15kms from Kullu and is worth a visit. Situated in the Kullu valley, the Great Himalayan National Park makes a good visit. Situated in the vast area of 620 sq km, the park is full of coniferous forests, with alpine pastures and glaciers forming a beautiful background. Some of the rare species found in here are the Musk deer, Brown bear, Goral, Snow Leopard, Monal and many more. The visit to this park gives an unforgettable experience. Naggar, 26 km from Kullu was the erstwhile capital of the place for nearly 1400 years. The Naggar castle which stands the mute testimony to its glorious past has been converted in to a hotel today. It was founded by Raja Visudhpal and continued as a headquarters of the State until the capital was transferred to Sultanpur (Kullu) by Jagat Singh. The beautiful castle here was built by Raja Sidh Singh of Kullu around 1460 A.D. and commands an extensive view of the valley and the River Beas. There are many temples situated in the vicinity notably amongst which are the temples dedicated to Lord Vishnu and Lord Krishna. Manikaran is a small village at the distance of around 45 km from Kullu. The place is full of hot water springs which are believed to have curative properties. 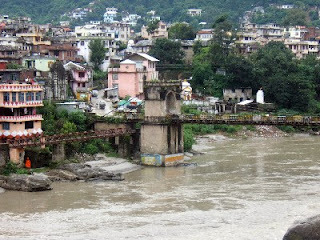 Hence daily thousands of devotees take the holy dip in these hot waters. The water is so hot that Rice, Lentils and vegetables get boiled and cooked in the water. The legend goes that once Shiva and his wife Parvati were wandering through this place where her ear ring dropped. This gives the name to the place Manikaran meaning ear ring. The search of the rings was futile and Shiva got annoyed. It was Shesh Nag; the serpent, which came forward to pacify the lord by hissing and boiling the water. Thus the jewel that lay under the water came up and Lord Shiva was pacified. Since then the water is hot. This square shaped lake resting on a mountain surrounded by deep vegetation is a sacred spot for Hindus, Sikhs and Buddhists alike. According to a legend, the great teacher Padmasambhava used his powers to take a flight from this place directly to Tibet. The waters at the Rewalsar Lake is therefore precious and people throng here to take blessings and honour the water of the lake.